Airing Mircro CPAP Review – Does it Really Work? The Micro CPAP machine is a recently designed product that is currently under FDA review and is being tested to treat sleep apnea. The micro CPAP machine is an exceptionally smaller technology compared to a normal CPAP machine, as it does not have long hoses, a large machine, or a face mask. Rather, it is a small device that rests directly under the nose and contains two rubber nostril inserts that rest inside both nostrils. The machine constantly pumps air through the nose and down the airway in a constant stream, just like the normal size machines do, only it’s a fraction of the size, is more user-friendly, easier to transport, and takes up less space. If you are unfamiliar with sleep apnea or are just starting to learn about it, here is some more information on what it is and how it is diagnosed. 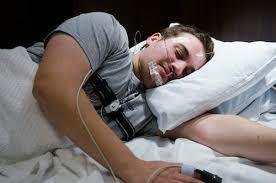 Sleep apnea is a serious sleep order that is becoming an epidemic in the United States and other developed countries. It is known as Obstructive Sleep Apnea or OSA. OSA is caused by an obstruction in your airway that causes you to stop breathing for several seconds, and up to a hundred times a night. It is a serious condition that can lead to stroke, heart attack, high blood pressure, and many more serious conditions. Sleep apnea is diagnosed by performing a polysomnogram. A polysomnogram is a sleep test that monitors motions and actions of the body and brain while you sleep. It’s commonly referred to as a ‘sleep study’. The study is conducted over night in a hospital setting where you are hooked up to different monitors, screens, and cameras. Your brain waves, heart rate, breathing patterns, blood pressure, and movements in the eyes are all monitored closely by your doctor in the sleep lab. Tiny electrodes are attached to several parts of your body and adhere to the skin during your sleep to keep a pulse on any physiological events that occur. Your oxygen level in your blood is monitored by a finger clip that also tracks your heart rate and blood pressure. Elastic belts may also be used around your torso to monitor your breathing patterns. Based on the sleep study results, your doctor will inform you if you do indeed have sleep apnea. When they analyze your sleep study results, they will quickly be able to tell how many times you stopped breathing, if any, how long the pauses were, and how often they occurred throughout the study. If they find that you stop breathing repeatedly throughout the night, they will request that you get fitted with a CPAP mask and machine. CPAP stands for Continuous Positive Airway Pressure. It sends a constant, steady flow of oxygen into your nose so that you can breath easier throughout the night, and do not have an obstruction in your airway. The machine itself can range in size depending on which model you buy from a wide variety of manufacturers. Most CPAP machines are about the same size as a small briefcase. They typically have 1 or 2 hoses coming out of the machine that attach to a nose or face mask. You will need to wear the nose or face mask throughout the entire night while sleeping in order for the treatment to be effective. Some masks require a separate chin strap to hold the mask in place. Other styles have adjustable straps that hold the mask in place for you already. Some patients with sleep apnea rave about how rested they feel in the morning after wearing the machine, while others just can’t get used to the bulkiness of the masks, tubes, and sound. Due to this, the amount of chatter created around the micro CPAP mask is amazing, and many people are excited to see the product come to fruition. 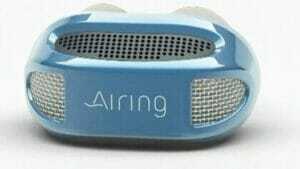 Airing is being marketed as ‘the word’s first cordless, mask-less, and hose-less device for treating sleep apnea. Just the picture itself looks amazing, especially when you put it side by side next to the current CPAP machine. The company behind this micro-CPAP machine markets the product to those that have tried wearing a standard-size CPAP machine previously, but have been frustrated by all the hoses, masks, and accessories that come with the machine not only needed for it to operate but to clean it as well. As soon as the micro-CPAP receives FDA clearance and hits the market, I will definitely give this machine a test to see how it actually works and if it stops my snoring. As of July 2017, this product is not yet available. The Airing Micro CPAP machine is comprised of a range of features, many of which are surprisingly small. The machine itself is made of an injection molded shell which houses the micro-components and micro blowers. The battery is also stored in the main body. The Airing Micro-CPAP machine is meant to be used only once and then disposed of. One of the most common complaints you hear from CPAP machine users is that they constantly need to be maintained and cleaned in order to function properly and administer the proper treatment. These micro CPAP machines are actually completely disposable and Airing claims that they can also be recycled. The beauty of the micro CPAP is that there are no bulky, heavy hoses, and no tangled face masks or nasal masks involved. The small, compact design, is appealing to CPAP users everywhere. Small batteries are used to operate the micro CPAP, however, it’s not yet disclosed exactly what the size of the batteries is or how much the batteries themselves will cost. Micro-blowers were originally designed to cool computers down within the main frame and motherboard. This same type of technology is used in the micro CPAP machine to maintain the constant flow of oxygen into the nose and down the airway. The micro-CPAP has 2 silicone nose buds that fit right into both nostrils and form a tight-fitting seal around the nose. This eliminates the need for large bulky hoses. There are two types of air vents on the micro CPAP: the inhalation vents and the exhalation vents. The inhalation vent is at the top of the micro CPAP and is nearly the entire width of the device itself. 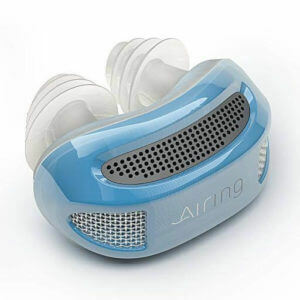 As you inhale, the micro blowers regulate the constant air pressure needed to maintain the ideal air flow to treat sleep apnea. As of July ’17, Airing is still in the middle of their fundraising stages. The company has raised nearly $2 million on IndieGoGo alone, and I’m sure there are dozens of other private investors backing the company. Designing a prototype, like Airing, is not easy. Creating a product to treat nearly 22 million people with sleep apnea has its challenges and the first of which is getting FDA approval. The Food and Drug Administration must undergo months and possibly years of testing and analysis to even allow this product come to market. Once that milestone is reached, the company will need to undergo numerous lab tests and clinical trials before launching the product. No published released date has been set, and the product has been in the development stages since early 2015. My guess is that there is probably another few years of R&D left in order to bring this product to fruition. Once the micro-CPAP gets FDA clearance, this will undoubtedly be the go-to CPAP machine on the market. Stephen Marsh is the brains behind the micro CPAP technology. 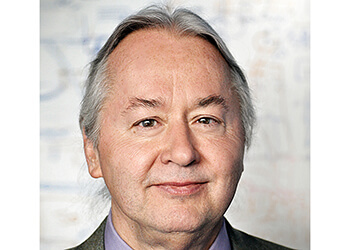 Stephen is not new to the healthcare industry, as he’s invented and patented over 75 products and applications. Marsh is an entrepreneur and inventor. When the Airing becomes available, Marsh will have tackled one of the largest growing markets in the United States – those with sleep disorders who suffer from sleep apnea. Previous post: Nose Vents, Nasal Cones, and Nasal Dilators – Do They all Stop Snoring?